Sometimes you have days, weeks, months (even years?) when you feel like an outsider, as if you woke up in a strange place and didn’t belong anymore. It passes. But when those periods of time last too long, doubts start to creep in. You wonder if you’re on the right road, if you’re making the right decisions, if your life is turning out as it should. As I think about all of this, I am reminded of some “handles” that I often grab hold of to keep me steady when I’m feeling so uncertain about everything. 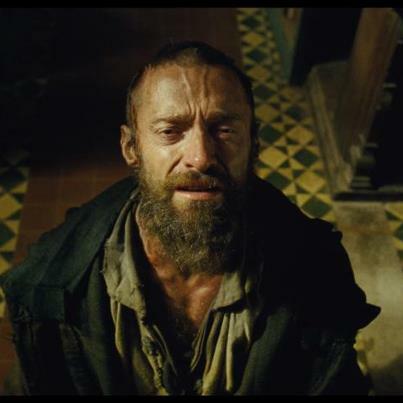 Do you remember the book, play and then film, Les Miserables? There’s a great song in the play sung by the lead character who has been redeemed to start a brand new life. But he’s dogged by shadows from his past who want to remind him of his guilt and drag him back. What a wonderful truth to repeat over and over again. Especially when the road is lonely, dark and you begin to doubt. One thing that I don’t have to fear is any punishment from God because of all my mistakes. I’m not on the outside of God’s forgiveness. Remind yourself again and again that you’re free. Forever free. No matter how much rejection you feel (real or imagined), you’re never going to be rejected by your Heavenly Father. You’re his child forever.